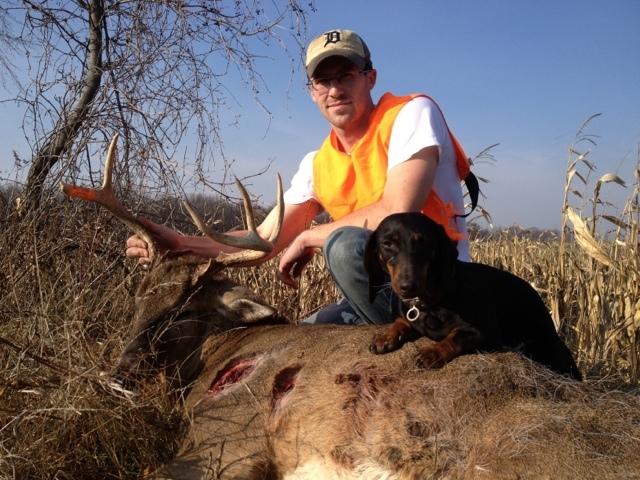 MICHIGAN DEER TRACK'N HOUNDS LLC Michigan's Professional Deer Blood Tracking Dog Services: Deer tracking dogs Saginaw Michigan. 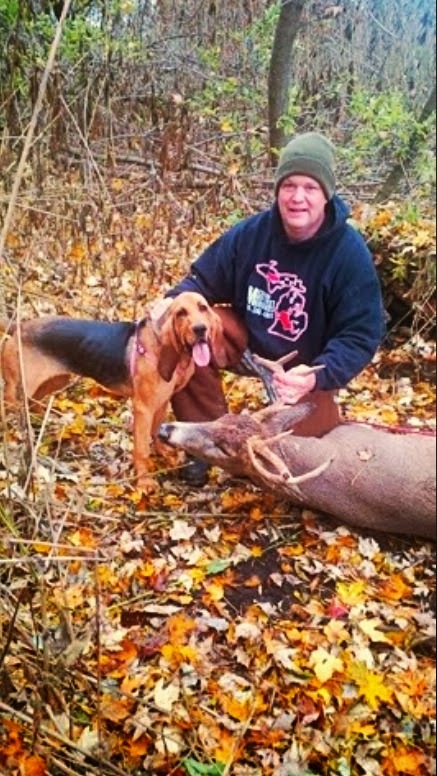 Deer tracking dogs Saginaw Michigan. 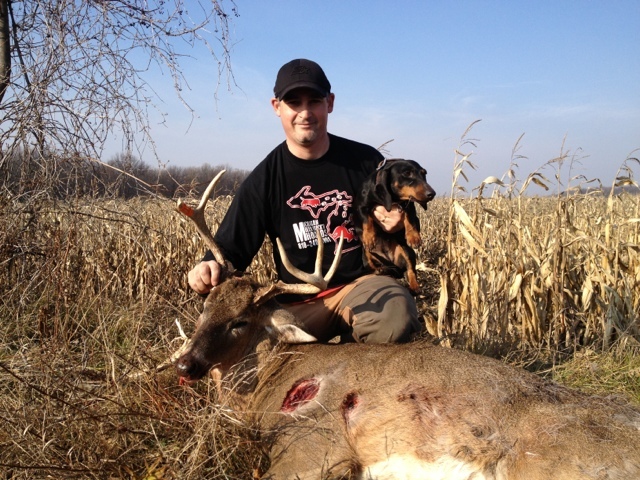 Blake made an amazing long range shot while the buck was running out in standing cornfield. 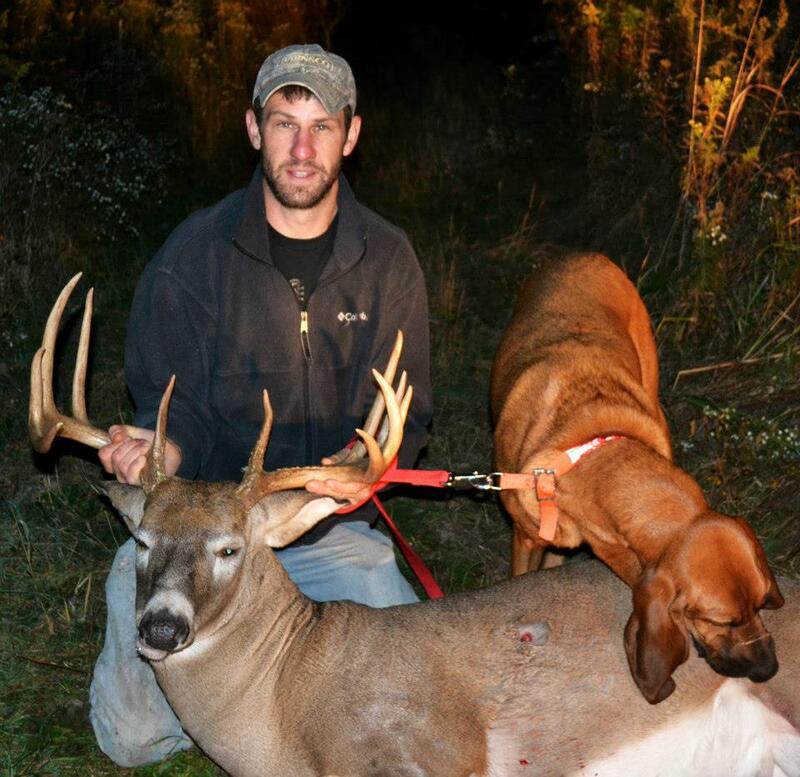 Blake was using a H&R 12 gauge single shotgun. Blake waited 1/2 hour before heading over to try and locate the hit site. After several minuets Blake could not find any blood so he started following the running hoofs prints. 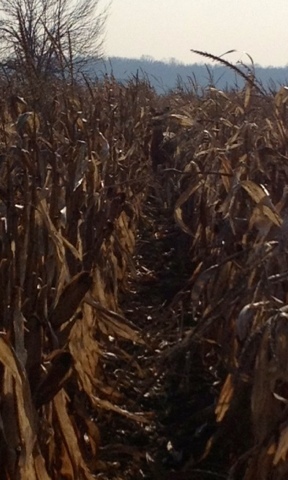 All the sudden he started finding blood very low and very high on the cornstalks. The field was extremely muddy so following the running track was very easy. After tracking him 50-100 yards the buck went to a walking pace and his hoof prints started to blind in with all the other deer tracks and no blood trail to follow. 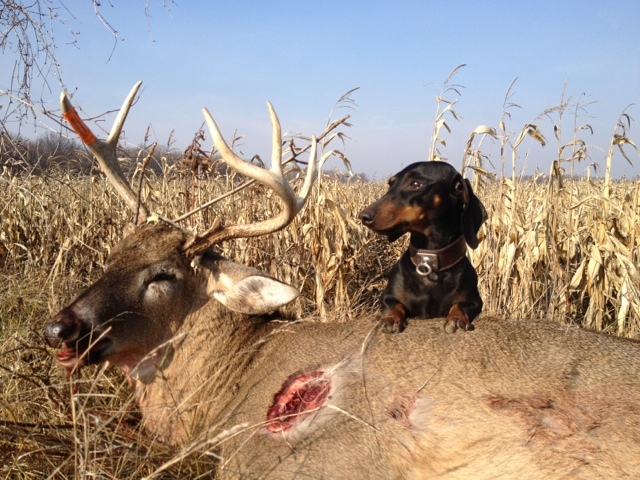 Still no clue where his slug hit the buck. Blake called me and we discussed everything in great detail!! I told him it does not sound good and all when can do is put Sypris down and try to find him. So Blake took me to the known location and I gave Sypris the command to track. She was nailing the track and I was able to advance him from the last known spot of blood and at one point we were heading down a corn row and a Doe was walking/feeding right towards us. Aftee this point Sypris is all over the place trying to locate Blake buck and then she finds a wound bed then another then another(6 wound beds in all) I'm feeling real confidence now that we will find his buck. Sypris all the sudden locked up and was starring out in to the corn. 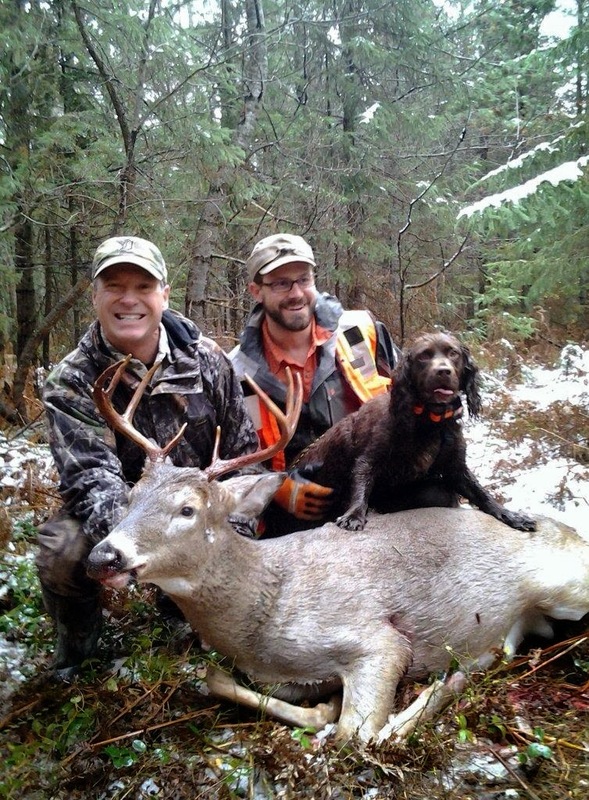 I told Blake that I recognize this behavior and your buck must be right there "still alive". All the sudden we could hear the buck breathing so Blake loaded his shotgun and moved over about 10-12 rows and put the beast down for good. The shot ended up being a Liver hit with no exit hole.